Just as there are many types of pain, there are many approaches to pain management. 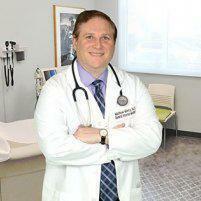 Dr. Matthew Mintz located in Bethesda, Maryland takes a holistic approach whenever possible. His experience shows that the best medication is often the least medication, due to complications that some pain relief drugs create. Whether your pain is short-term or chronic, call or book an appointment online with Dr. Mintz today. Dr. Mintz welcomes all patients from Bethesda, Potomac, Rockville, Chevy Chase, and the surrounding areas of Washington D.C. and Virginia. When you’re in pain, it can take over all your thoughts and interfere with your daily life and the tasks you need to do. If you suffer from chronic pain, this interruption from living becomes a non-stop drone that can sap both your energy and enjoyment of life. The field of pain management seeks to improve quality of life for those suffering from pain, typically those living with conditions causing chronic pain and accompanying fatigue. Pain management is often interdisciplinary, employing many proven techniques to find the best results with the least negative impact. Dr. Mintz targets no medication for pain relief. This is often not practical, and he prescribes pain medication to his patients when it’s necessary, but Dr. Mintz recognizes that overuse of medication has potentially serious drawbacks, from masking of symptoms to drug side effects and chemical dependencies. Why are different pain management techniques necessary? Not everyone responds to pain or pain relief in the same way. For example, those who suffer from fibromyalgia may have changes in their bodies that misrepresent pain. Pain response is out of proportion to pain causes. Therefore, drug treatment is challenging, since there may be no underlying condition causing pain. What are some non-pharmaceutical pain management techniques? If you’ve ever had a massage after overexertion, it’s easy to understand several things about pain. There’s pain relief you feel while your therapist is working on you. Though you may have some tender spots that are uncomfortable to manipulate, you may recognize this as “good” pain - sensations that you equate with recovery. The massage itself has therapeutic value, but your perception of “good” pain is a subtler point. It demonstrates how attitude can affect perception. This is how counseling may help with pain relief, changing your attitudes toward certain pain, as well as coping with the frustration, anxiety, and depression that may accompany your pain. The musculoskeletal manipulations of massage are echoed in other techniques, such as physical therapy, osteopathic care, and chiropractic treatment, each offering pain relief to certain groups of patients. Transcutaneous electrical nerve stimulation (TENS) uses pulses of electricity through the skin that affect nerve endings and interrupt chronic pain. Dr. Mintz does not offer massage or manipulation at his practice, however, he has trusted resources and referrals for patients that are good candidates. Dr. Mintz is open to a holistic approach for pain management care plans. Complementary therapies that address your mental well-being also may be helpful in reducing pain. These include techniques such as acupuncture, biofeedback, meditation, and yoga.